Our messages are almost always about what we can do to make the world better for ourselves and others. Today’s message has a different focus. We are not alone. We have heard that many times regarding our Guidance walking with us 24/7. But today we are reminded that we are surrounded by our brothers and sisters walking the same yet different paths. We are here to support each other. Receiving is as important as giving. Getting help is just as important as giving it. We are not meant to carry our burdens alone. We are not meant to be of service alone. 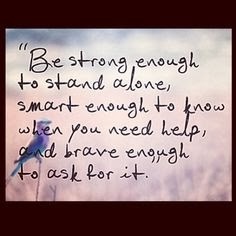 Sometimes we need help and we need to ask for it. That is part of the lesson. That is part of the plan. -Remember there is no “I” in team. -Breakfast, catching up and errands with Pam. -Shopping done. Dessert made for the club tonight despite the fact that my mixer is broke. Yikes.